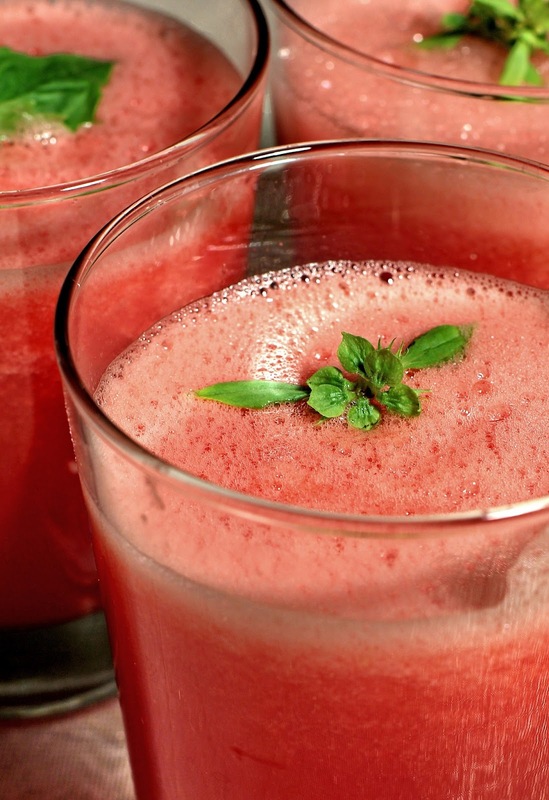 - Slice watermelon and throw into blender. Further chop it there into small chunks, or add a bit of cold water (to start the blending). - Add honey to taste (half spoon per glass is sufficient; don't exaggerate: you can always add it later, but it's difficult to take it back). - Add ice cubes to chill the drink. - Blend till thoroughly mixed. - Present in a nice glass, garnished with a green leaf (mint, for example) for a splash of color.